Getting published… ahhh everyones dream in the fitness entrepreneurs world! We know that is the case for many of our FITposium family, friends and other fitness folks. 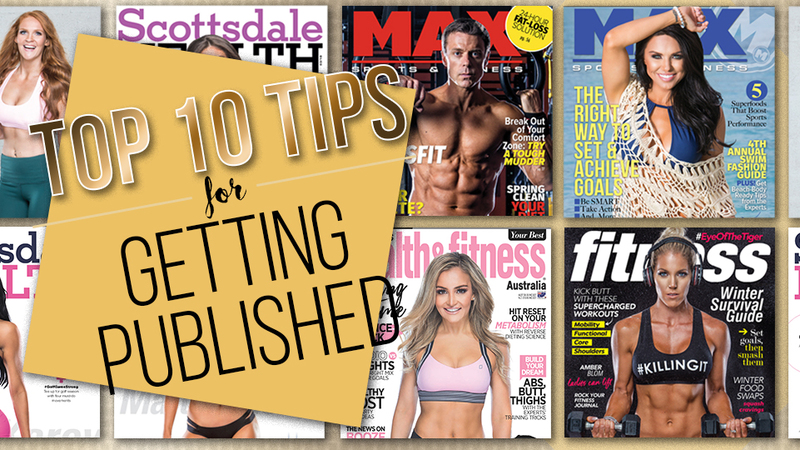 So, we have laid out some of our top tips to help you put yourself, your brand and business in a fitness magazine. 1: Make connections: Who do you know? Any friends been published? Do you know any editors? How do you get your foot in the door? Any magazine you should be able to find the editors email online or someone who can connect you with one if you don’t already have connections. 2: Use social media: Start getting noticed by these magazines, tag them in your fitness photos, show off your success and make follow them. 3: Pick your magazine: every fitness magazine is a little different so make sure you research the kind of articles they have published previously, what is trending for them and who are their readers. 4: Making your pitch: once you have contact with an editor, put it out there, send in your article submission, photos, website and mention all the common connections you can. 5: What to pitch: now a lot of people make the mistake on wanting to publish their personal stories… that usually doesn’t happen. Also, know that you aren’t always the reader of their magazines. I’m sure you know 5 exercises to get your summer body, so you may need to understand that it’s not for you or people like you always. 6: Wait: be patient, editors are busy people and get pitches all the time. If you don’t get a reply right away don’t worry. 7: Be persistent: If you are waiting and waiting for replies, try again. Ask if they got your submission, ask what the like, what they don’t like or what they may be looking for. 8: Be positive: rejection happens, and they may not like your pitch. That’s okay, just try again! 9: Be trendy: you want an article that fits with their readers, the season, the fitness and diets of the magazines buyers. Submitting an article on your bikini competitions isn’t going to be interesting to women who are runners. 10: Come to FITposium: so you can meet some editors face to face, make your pitch and hopefully get published! Being featured in magazines can help enhance your brand and business, so buy your tickets now for the 2018 conference!